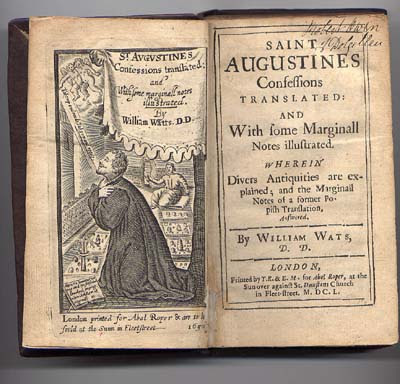 In Book XIII, Chapter XV on his Confessions, Augustine meditates on the nature and role of Scripture for believers. Now who but thee, our God, didst make for us the firmament of the authority of thy divine Scripture to be over us? In something of the same way, thou hast stretched out the firmament of thy Book as a skin—that is to say, thou hast spread thy harmonious words over us through the ministry of mortal men. For we know no other books that so destroy man’s pride, that so break down the adversary and the self-defender who resists thy reconciliation by an effort to justify his own sins. I do not know, O Lord, I do not know any other such pure words that so persuade me to confession and make my neck submissive to thy yoke, and invite me to serve thee for nothing else than thy own sake. Let me understand these things, O good Father. Grant this to me, since I am placed under them; for thou hast established these things for those placed under them. The preachers of thy Word pass away from this life into another; but thy Scripture is spread abroad over the people, even to the end of the world. Indeed, both heaven and earth shall pass away, but they words will never pass away.